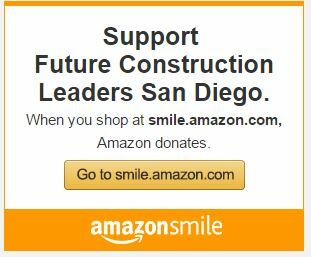 (San Diego, Calif.) – Future Construction Leaders Foundation of San Diego named its first board of directors to lead the newly approved nonprofit organization. Future Construction Leaders Foundation (FCLF) is dedicated to generating financial support for programs and services focused on educating youth about career opportunities in the construction industry, and encouraging them to pursue careers in this field. FCLF supports programs including Camp NAWIC San Diego, Block Kids, CAD Drafting Competition, and an annual scholarship awards by the San Diego chapter of the National Association of Women in Construction. Linda Young, CBT CIT, will serve as the first Board President. Young is the co-owner of CSOS Consulting in La Mesa, California. Treasurer: Jan Parthemer, Owner, Datalink Solutions, Inc. Trustee: Anita Villani Barnes, Owner, Anita Fire Hose Company Etc. Trustee: Myrna Smith, Design Administration Manager, Harper Construction Company, Inc.
“There are wonderful opportunities for rewarding careers in the construction industry today, but our talent pool is shrinking,” said Young. “Women, military veterans, and other diverse groups are often overlooked. In part this is due to a lack of exposure to the profession, and a lack of role models. “Future Construction Leaders Foundation will work to raise funds supporting construction career programs for students of all ages and scholarships that can help them pursue the training they need to succeed,” said Young. A McGraw-Hill Construction research report found 62 percent of contractors looking to hire employees believe their trade does not appeal to a younger generation of workers. The failure of serious recruiting and exposure to construction trades adds up to a serious concern for the construction industry. As construction jobs are becoming more plentiful, the construction industry cannot afford to overlook much of its potential future workforce. It must work harder to educate high school students about the opportunities waiting for them, let them know they are all welcome in the profession, and hire candidates from under represented groups at all levels.